Wanting to take the war to the homeland of the mob, Bolan heads across the Atlantic to start another offensive in Sicily. Note: In the throes of a contractual dispute, Pinnacle, according to the legends, decided that they were the real owners of the brand and hired another author to take over when Pendleton asked for more money. A battle ensued and Pendleton came out the winner. 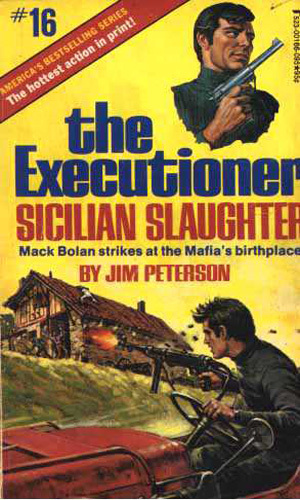 The action in the book was good but the character of Mack Bolan didn't feel right.